This first one is about when summer 2019 school breaks end. 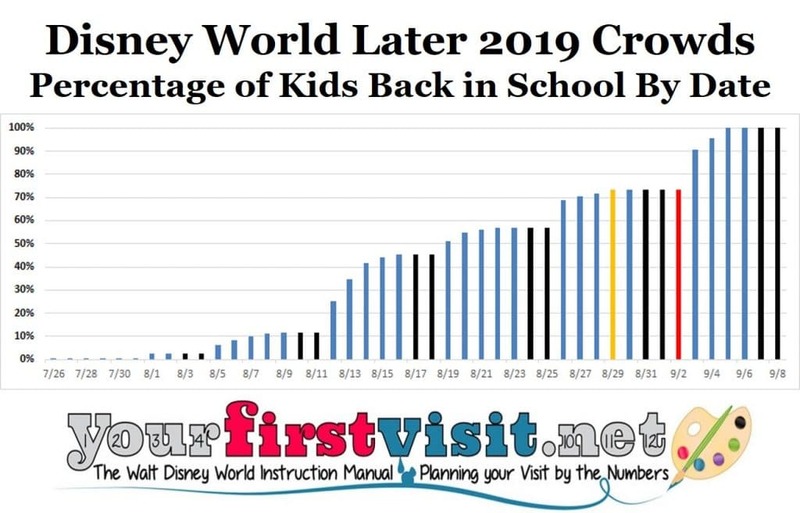 Kids in my data set start going back to school in late July, but aren’t back to school in appreciable numbers until the week of August 11. At the beginning of that week, about 12% of kids are back in school, and by the end of it, more than 45% of kids are back in school. The 50% level is crossed on Monday, 8/19/2019. Numbers of kids back in school build slowly over that, hitting about 74% of kids in school by Labor Day, and then by the Friday after that holiday, every kid is back in school. Of note, 73.4% of kids are back in school by the Star Wars partial open. This is one of many reasons that I have noted elsewhere for why I don’t think the opening will be as crushed as many fear. Note that I do think it will be crushed—just not as badly as many think. 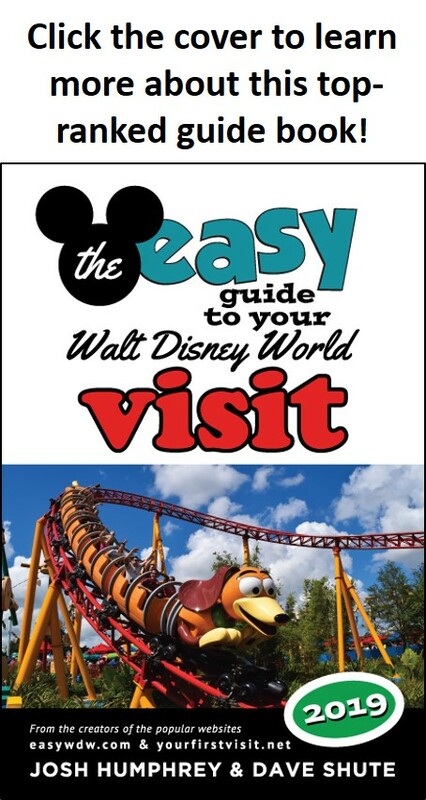 Kelly, the long-time travel agent partner of this site, can help you book your Walt Disney World vacation–in the summer of 2019, or another time! Contact her using the form below.